Re-imagining all six floors of this historic home required the complete removal of the original framing, from top to bottom. 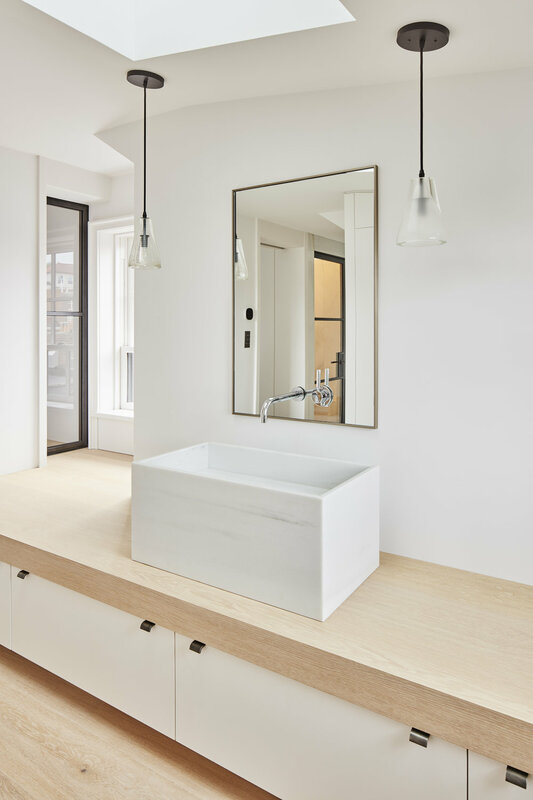 The new interiors evoke all the grandeur of a Beacon Hill home, yet with an eloquent minimalist presence. On the exterior, special attention was placed in the creation of historically accurate windows, doors, wood trims, stone lintels, operable shutters and restored metalwork. The new clear span structural work provided for unrestricted room configurations at each level. 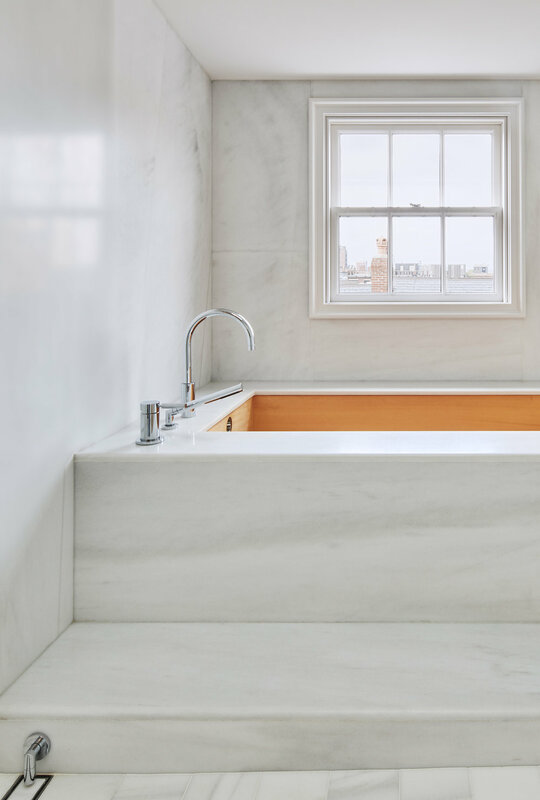 This Japanese-inspired private sanctuary on the top floor is complete with a steam room, hinoki wood soaking tub, rain-shower-head in a skylight, and a sleeping room. 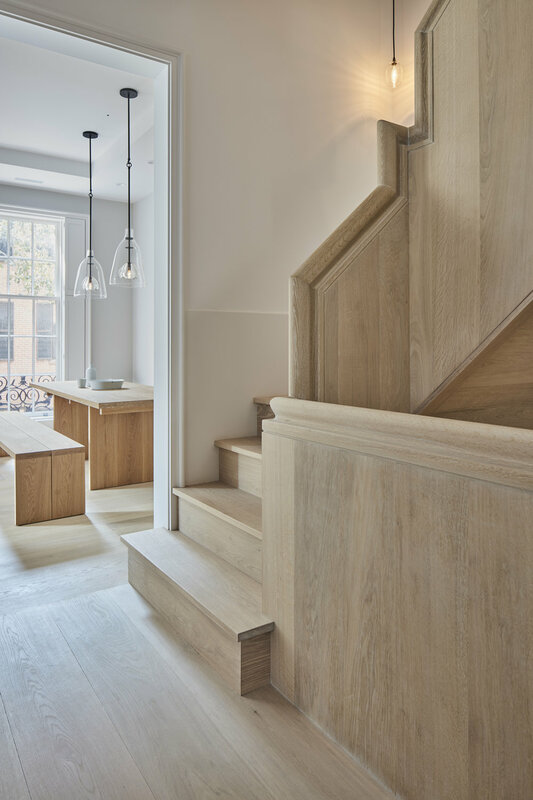 A new central staircase weaves together all six-stories of this historic home. 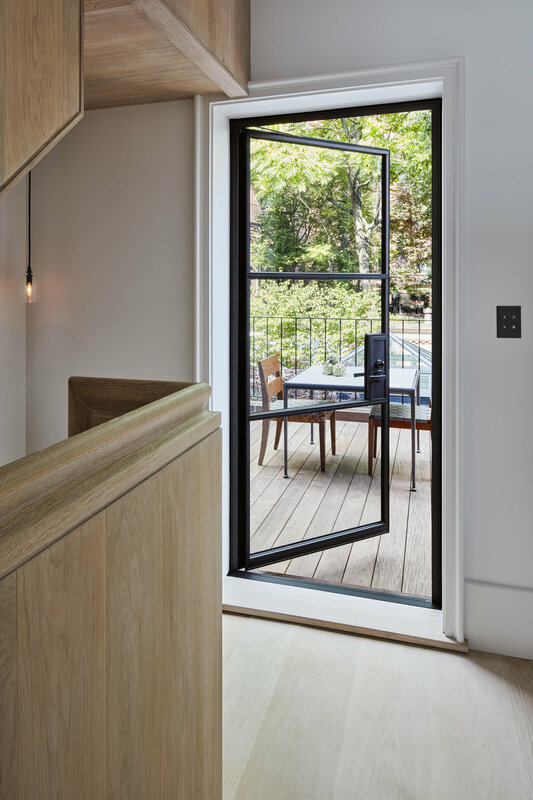 With strategically planned uses at each level, the continuous oak-handrail guides you from the initial entertaining levels through to the intimate upper suites. Several 3D printed models of the handrail profile were fabricated to refine the feeling of this sculpted detail.